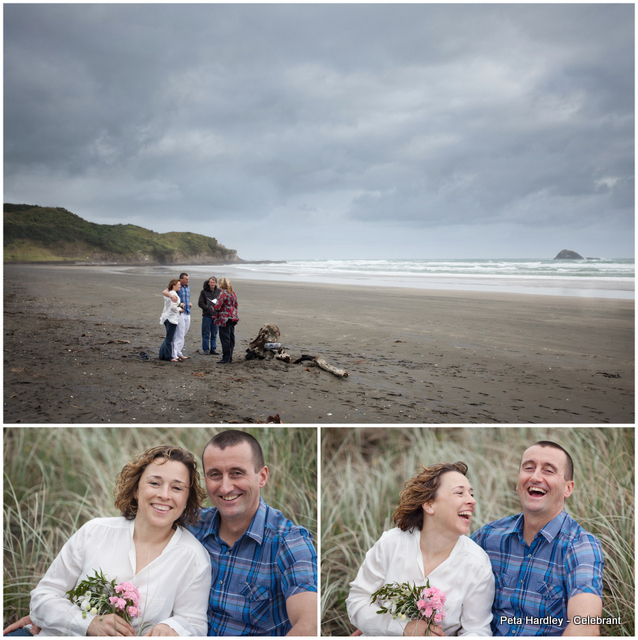 Julia and Reiner eloped from Germany and chose a wild windy wonderful day to exchange their Vows on a deserted Muriwai beach. 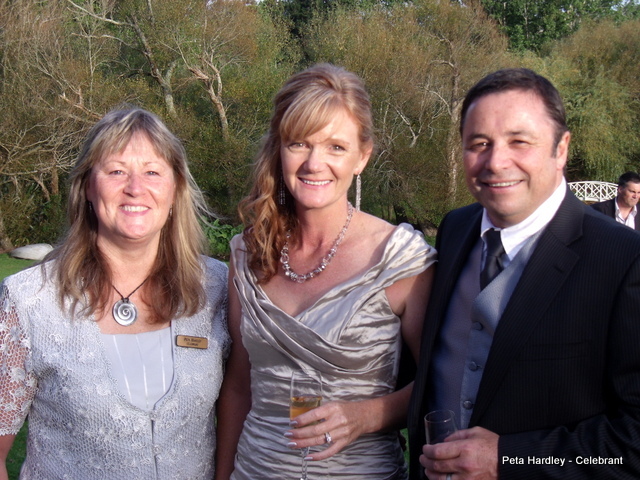 Adie and Dixie celebrated their Civil Union on their fabulous property with many friends , family members and their dogs. 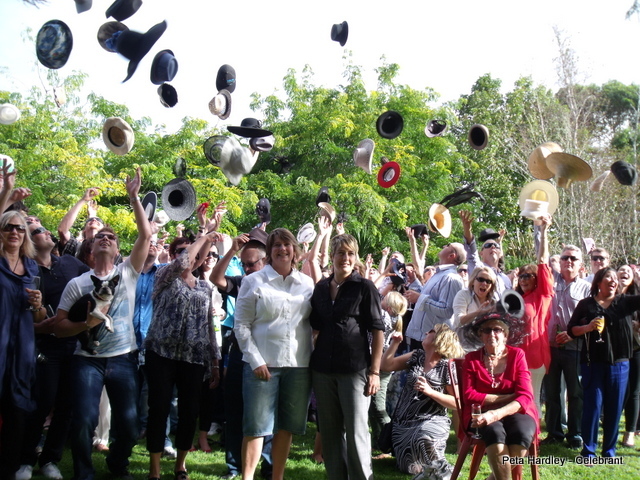 Hats were a theme, so of course there had to be a ‘hat toss’ photo – Wonderful! 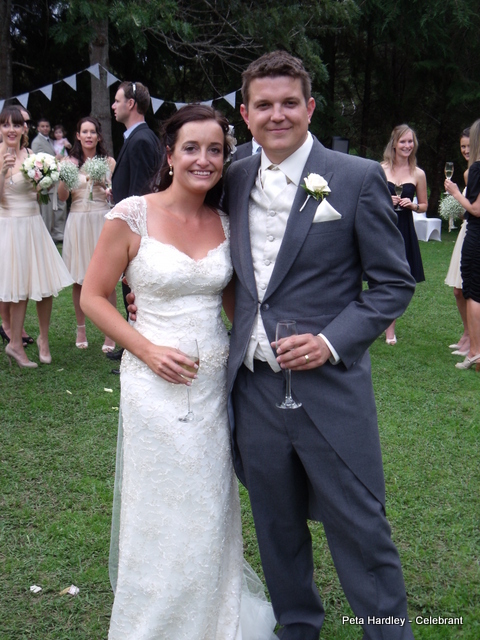 Vanessa and Warren shared a very special autumn day at lovely Gracehill. A lovely touch was having their adult children as attendents. Shelley and Oliver looked resplendent at their wedding at Kumeu Valley Estate, where they shared their proposal story and words of love. 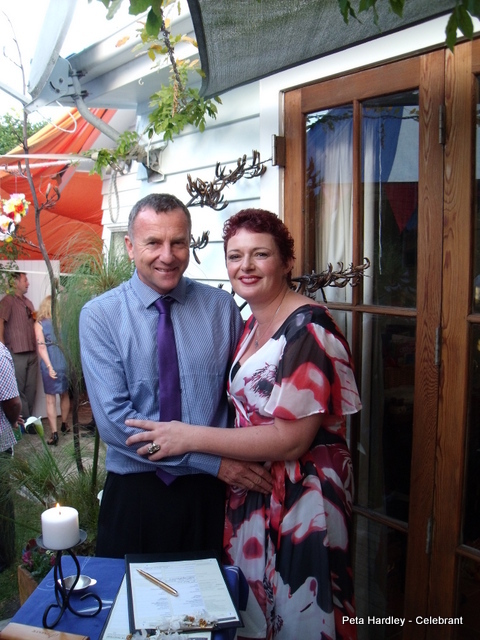 Neil and Katriona had a warm family wedding at their Helensville home. Everyone pitched in to make it a happy memorable day. 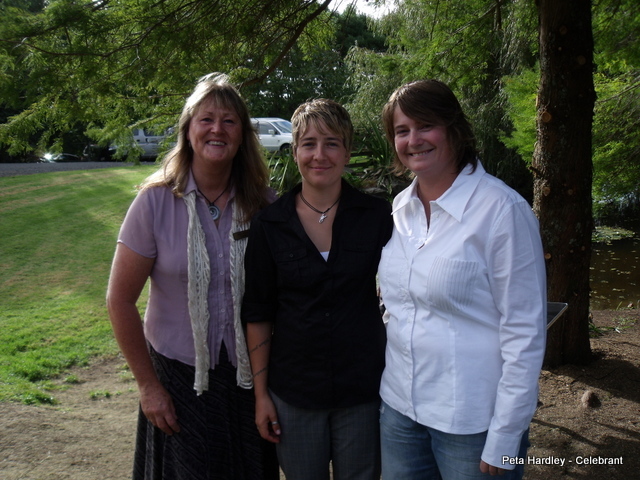 Back in Helensville again, it truely was a family affair at Toni and Mike’s special wedding. 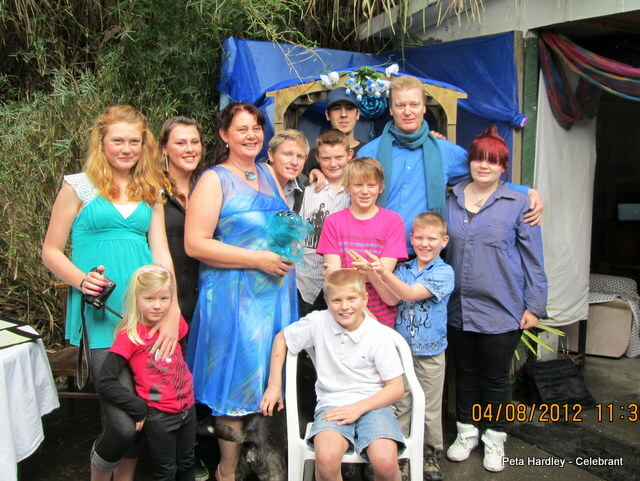 Surrounded by their 10 children and families, this relaxed couple, shared a unique and magical day. 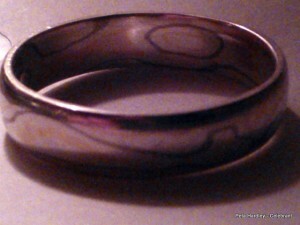 After seeing hundreds of wedding rings exchanged over the years, I have to say these were extremely unique. My warmest congratulations to these wonderful couples (and their families) for making their special days both unique and wonderful. 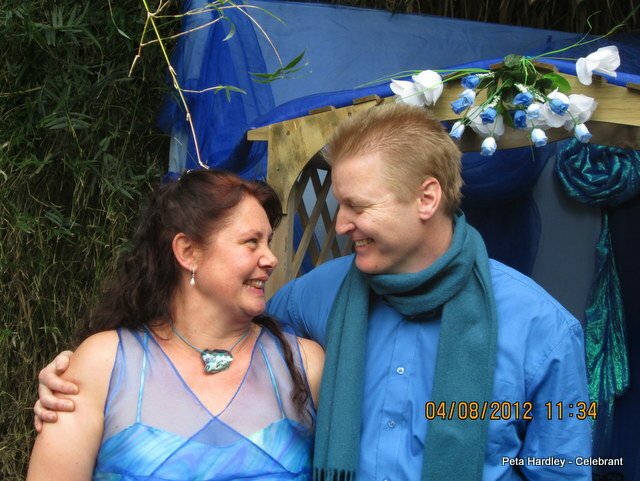 It has been a priviledge to be part of your big day!